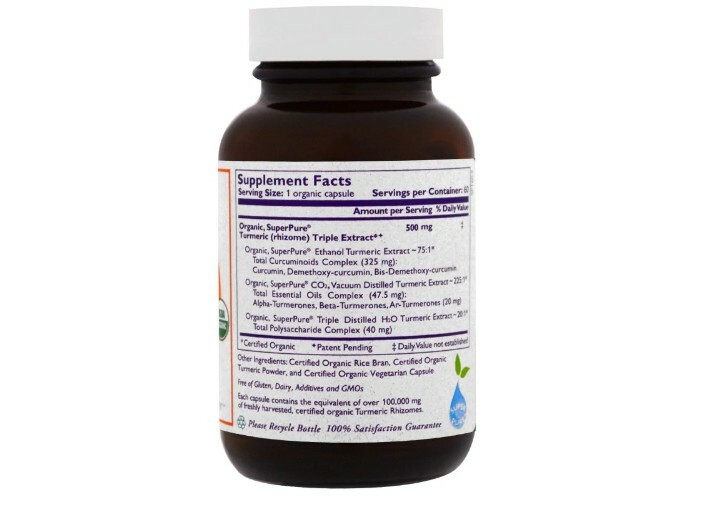 SuperPure Turmeric features the patent-pending, certified organic Turmeric Triple Extract developed exclusively by The Synergy Company. Certified organic rice bran, certified organic turmeric powder, and certified organic vegetarian capsule. 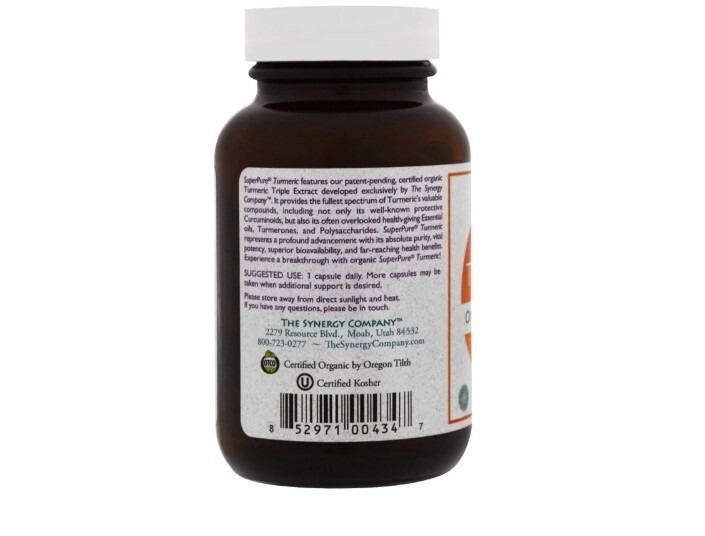 Each capsule contains the equivalent of over 100,000 mg of freshly harvested, certified organic Turmeric Rhizomes. 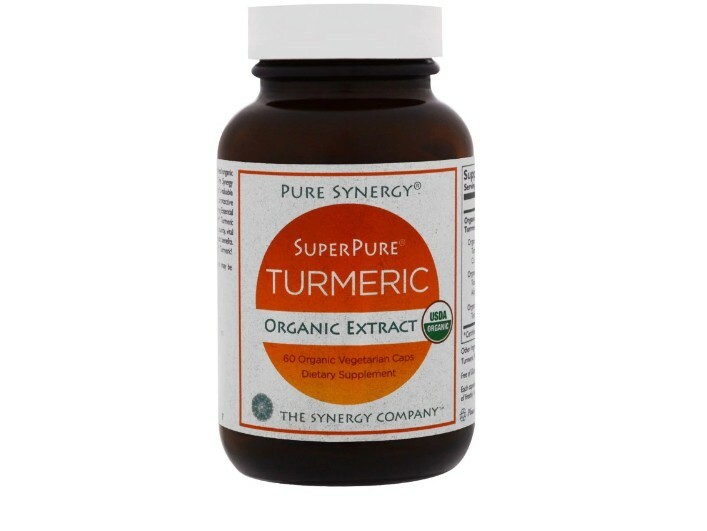 SuperPure Turmeric features our patent-pending, certified organic Turmeric Triple Extract developed exclusively by The Synergy Company. It provides the fullest spectrum of Turmeric's valuable compounds, included not only its well-known protective Circuminoids, but also its often overlooked health-giving Essential oils, Turmerones, and Polysaccharides. SuperPure Turmeric represents, a profound advancement with its absolute purity, vital potency, superior bioavailability, and far-reaching health benefits. 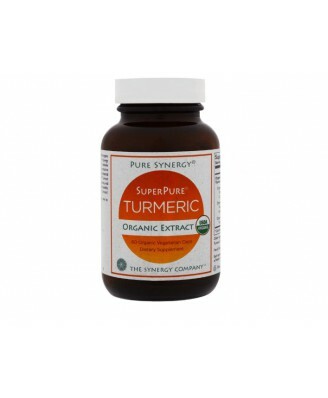 Experience a breakthrough with organic SuperPure Tumeric!